← What Is Our Constitution? shepherd. When these republicans signed Grover’s pledge. Of no new taxes. Which he call, “Americans For Tax Reform.” They , (the republicans), now represent Grover and not the people. Grover said, “this pledge is the voice of the people.” Grover is implying that his pledge is a part of the constitution. What I say to Grover, is not an elected official of the U.S. Government. Therefore his pledge is irrelevant to the constitution. I would also remind Grover and the republicans. It would take a petition sign by 60% of all register voters in the states. To be the voice of the people. Therefore Grover is the voice of one shepherd with a flock of sheep, ( GOP Members of congress). The voice of one doesn’t speak for the many. The paper that this pledge is written on is as useless as toilet paper. Grover’s pledge didn’t choose these republicans for congress, and he doesn’t pay their salaries. It’s the people taxes that pay these republicans salaries. These republicans want to cut spending on seniors, poor & hungry children, unemployed, under-employed, and veteran benefit. These republicans need to start cutting their own salaries first. With a 10% approval rating by the people. If these republicans were working in the private sector they would be fired. Since you are their boss and they are administrators for the people’s government. You are their boss, and have the power to fire them at the ballot box. These republicans have misquoted the constitution over and over. By saying, “President Obama, is raising taxes.” The constitution gave congress the power to raise or lower taxes. Not the president. These republicans have taken an oath to up hold and defend the constitution. After the Affordable Health Act was passed in congress by the House and the Senate, sign into law by President Obama, and upheld by the Supreme Court as constitutional. These republicans in the house have fought this law 50 times by passing a bill to repeal the Affordable Care Act and it die in the senate. These Republicans want to have control of all three branches of government. They don’t approve of President Obama, as the Executive Branch of Government. And they don’t approve of the Supreme Court, as the Judaical Branch of Government. Republicans in congress are in the Legislative Branch of Government. Their sole responsibility is law making as stated in the constitution. They want to control of all three branches of government. They had that in old U.S.S.R. One party rule. Where only the elite the wealthy benefited. Every one else was given propaganda. The House Republicans have put on charade after charade on TV for the people. I call this “Republican TV Court.” They are competing with Judge Judy, for TV time. These House Republicans declare the Affordable Care Act is in their opinion is unconstitutional because the mandate is the largest tax increase in modern time, and they are going to repeal this law. In essence this mandate is a penalty for those who choose to disobey this health care law. This penalty is collected under the IRS tax code. Our constitution wasn’t written with the word penalty for a mandate. For those of such narrow-mindedness. This charade is a bridge to nowhere and, cost the tax payers 50 million dollars. There was another charade by these republicans. That President Obama, was involved with running assault weapons to Mexico. This charade was called “Fast and Ferocious.” This is a bridge to nowhere and cost the tax payers more money. These republicans speak and, bury their heads in the sand. “Not even the swiftest horse can over take the word once spoken.” A lie told yesterday, is a lie today, and will be a lie tomorrow. These charades by the republicans are illusions. We don’t need actors in congress to put on a dog and pony show. 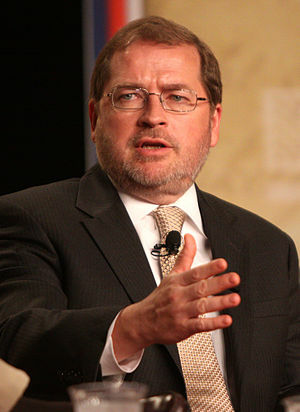 And we don’t need republicans to be lead by a shepherd, (Grover Norquist). What we need in congress are those that can think and, reason with a logical mind on their own in the Republican House of Congress. Hi there! If I share your blog with my twitter group, would yoou mind? There is a whole lot of people today that I presume would actually deliught in your site content. You should inform me. Thanhks a lot! You may share my blog with your twitter group and, with your social network also. Thiis amazing sige was… just how do you say it? Pertinent!
! Then finally I’ve located something that helpd me. Your very good kindness and knowledge in learning considering all the portions wwas beneficial. of blogging. I bookmarked it to my bookmark site list and will be checking back soon. Please check out my website as well and let me know what you think.